Bonds all types of foam backed carpets, underfelt, carpet tiles, fabrics, cork and felt. Re-fixes loose carpet tiles. Coverage: one 3.5m2 coat per can. 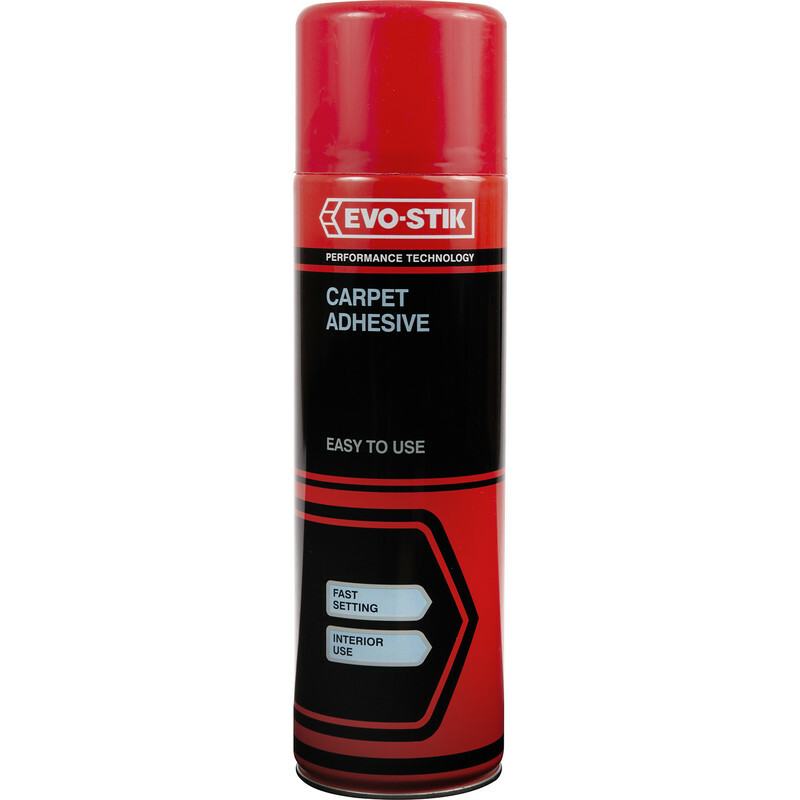 Evo-Stik Carpet Adhesive 500ml is rated 5.0 out of 5 by 5. Rated 5 out of 5 by Shirley from Memory foam I bought this to repair a piece of memory foam and it has done it wonderfully well. Rated 5 out of 5 by mercedes from it work`s. cannot say any thing negative.wear gloves as it will grab you, as well as the carpet!!! Rated 5 out of 5 by bobcov from Got stuck in Excellent product. Sprayed consistently with no blockages. Stuck well.